They sit on top and bottom of the spine of a book. That is, if we have a hard cover book. A tiny bit of colour as a crown on our spine. And a stop at the bottom of the spine. 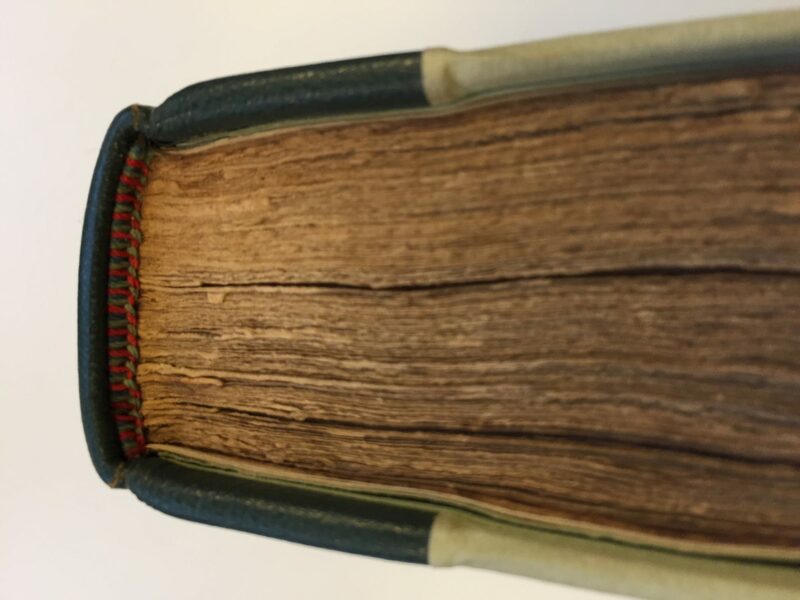 This way they prevented insects to eat the glue from the spine. A machine bound book sits more loose in its jacket. So they don’t close the gap anymore. But they come more colourful nowadays. You choose the head and tail bands usually right at the end of the designing. In fact it is very often the printer or binder who asks what colour they should be.